Welcome to Day #9 of Chocolate and Africa Theme Weeks. This week we're focusing on bars made from Tanzania cacao, before we continue our journey from east to west across the continent. 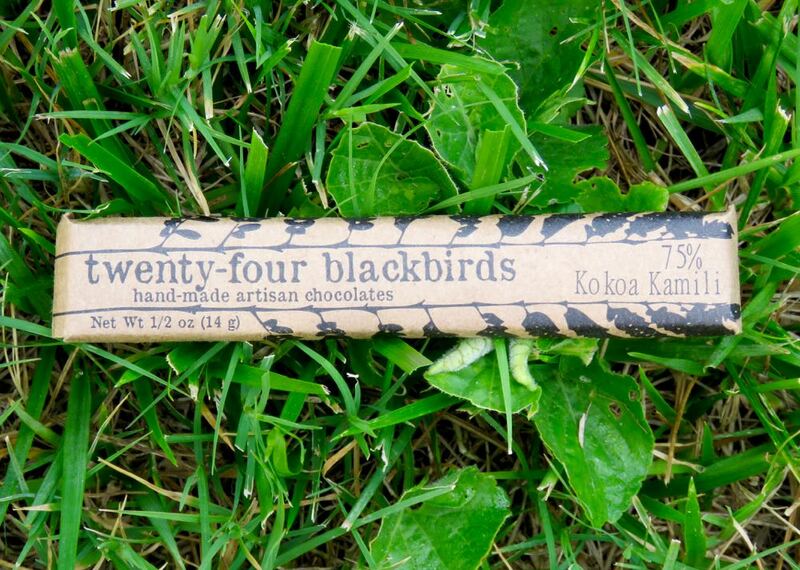 Today's 75% Kokoa Kamili (Tanzania) bar was made by Twenty-Four Blackbirds Chocolates (Santa Barbara, CA). 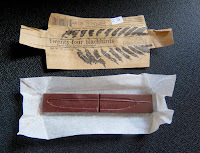 This Tanzania bar had a similar aroma to other artisan bars featured this past week that were created with cacao from Kakao Kamili (located in southern Tanzania): dried fruit, berries, steamed Boston brown bread,* true chocolate (dark cocoa). The flavor followed this same lovely general profile, with no off notes. Mike Orlando, company founder and chief chocolate maker at Twenty-Four Blackbirds Chocolates, began his career as a marine biologist. A scientist who liked nature and building things, he started experimenting with roasting coffee (and tinkering with machines to do so) many years ago. He ultimately become an early chocolate bean-to-bar maker in the new American chocolate maker movement (that also has been expanding worldwide). Knowing how to create, tweak and fix your own machines in the multi-step chocolate-making process may as well be a job requirement. Precision is important for quality when making chocolate. One learns a lot when making chocolate from cacao beans that hail from different countries/sources and the adjustments needed for each one. Makers take well deserved pride in their home-built and improvised mechanisms incorporated into their process. From what I've seen in the past 11 years, these makers are living examples of creative ingenuity at its best. And speaking of creative, let's not forget the packaging. 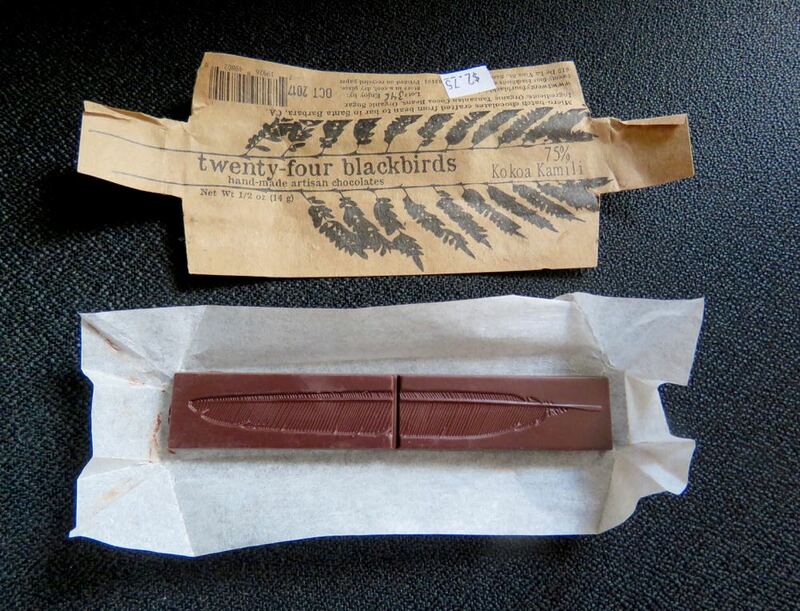 Today's small, narrow, rectangular bar contained the "imprint", although hard to see in the image at right) of a single feather—perhaps from one of the legendary blackbirds** of old times. *Boston brown bread is a steamed, almost cake-like dark bread with molasses, raisins and cornmeal. **Four and twenty blackbirds may or may not refer to a piece ("Sing a Song of Sixpence" by Mother Goose) written long ago. While hard to describe, essentially four and twenty blackbirds were baked into a pie but started to sing when the pie was cut open. ("Mother Goose" childrens' rhymes often had an incredible and/or dark side.) "When the pie was open, the birds began to sing, wasn't that a dainty dish to set before the king..."